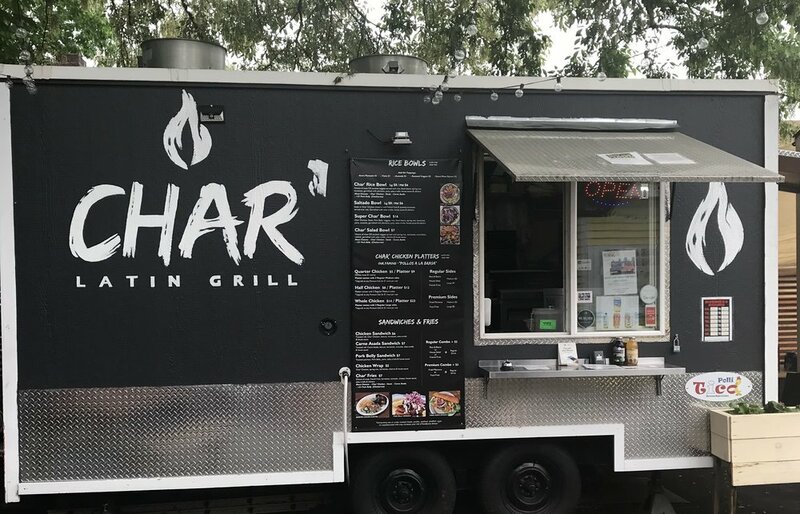 Char' Latin Grill (formerly Polli-Tico) is a restaurant, food cart & food truck located in Portland, and Happy Valley, Oregon, specializing in Latin cuisine with flavors from Mexico, Central and South America. Our first restaurant location is now open in SE Portland, in the Belmont neighborhood. An extended menu with beer and cider on tap. Indoor and outdoor seating and a kids wall. A great place for the family to enjoy or to just relax and hang out. Our food cart sits in Happy Valley Station! Here we serve a full menu similar to a fast casual restaurant. From tacos, burritos, bowls, sandwiches, loaded fries, and much more. We have outdoor sitting and an indoor sitting area equipped with heat to keep customers warm during the winter months. There is also a bar full with beer, wine and cider choices on tap. Our food truck is a mobile unit. With it we cater to different types of events. From weddings, corporate lunches, festivals, and much more. Our food truck menu focuses on bowls, tacos, salads, sandwiches and wraps filled with Mexican, Central and South American flavors! Place your order online and we'll have it ready for you! "Click here to place your order"
At CHAR' (formerly Polli-Tico) we specialize in Latin Cuisine & Street food. Our dishes range from our Signature Rice Bowls to tacos, traditional sandwiches to our famous charbroiled chicken or "Pollos a la Brasa" (served occasionally as weekend specials). Our traditional Chicken Platters are served with exotic sides such as yuca fries and fried plantains it is truly an ethnic experience. You can order from a quarter chicken to even a whole chicken! Our house made sauces top off our dishes with great flavor that will entice your taste buds. 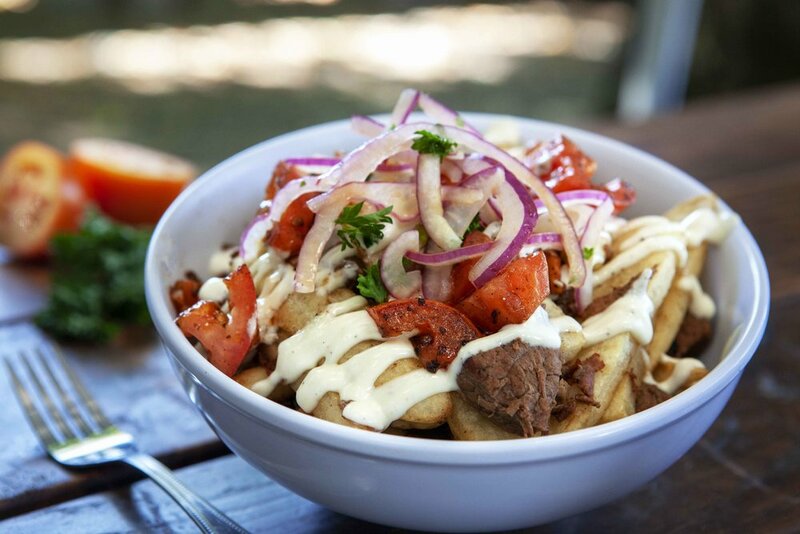 We have great meals such as our Saltado Bowl a steak dish seasoned with fresh South American spices. We also offer our CHAR' Rice bowls (burrito bowl) full of latin flavor as well as our CHAR' fries. We are proud to be the home to great Latin food. Our flavors come from Mexican, Central American, and South American cuisines. Seasonal Ceviches, soups, and specialty items! We wanted to provide a full Latin Chicken Experience. In order to do so we had to have a charcoal rotisserie. We looked all over the states and could not find any charcoal commercial size rotisseries. After extensive research we decided to order our oven directly from Lima, Peru. After contacting several manufacturers we finally decided on one. The rotisserie took 2 months to be fabricated. We made arrangements to have the oven imported from Peru. After 3 weeks of delays with U.S. customs the oven finally arrived. The process was a hassle and it took nearly three months to get the oven into Portland, but we know it was worth it so we can provide the real experience of Latin Style Chicken. Our rotisserie oven can cook 30 chickens at a time in a matter of 3 hours.